”Great Barrier Reef” is a three-part mini-series narrated by the indefatigable David Attenborough, who at the ripe old age of 88 (or thereabouts) roams the coral reefs outside Australia in a submersible equipped with sophisticated cameras. Yes, the little submarine is called “Nadir”! Attenborough looks quite comfortable inside it, as he takes the viewer on a journey through an ocean world that often looks like an alien planet. The best part of the series is episode 2, which features sharks, manta rays, humpback whales, and sea turtles. The mantas visit a certain island in the Great Barrier Reef to be “cleaned” by cleaner fish, and are a sight to behold. The most intriguing claim is made already in the first episode, where Attenborough states that a certain Aboriginal tribe seems to know that the coast line was further out 13,000 years ago and was inundated by a huge flood. A 13,000 year old folk memory? That´s hard to believe…but flood myths *are* common around the world. Meanwhile, our splendid civilization is threatening to destroy the entire Barrier Reef. Due to climate change, the sea is becoming warmer and more acidic, threatening to kill off entire eco-systems. 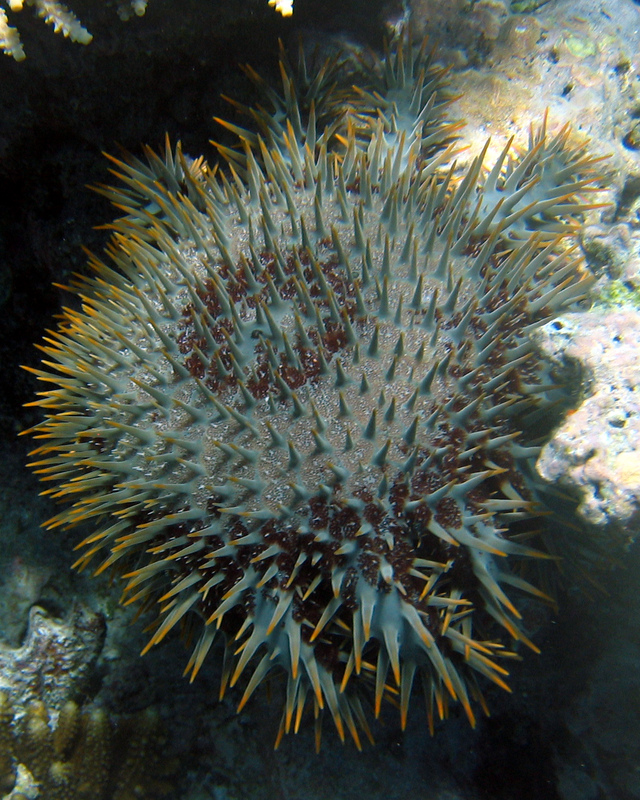 The corals at the Great Barrier Reef were decimated already before the present crisis, due to a “plague” of crown-of-thorns starfish which seems to have been man-made: the larvae of the coral-eating starfish thrived on artificial fertilizer washed out at sea!